The first thing that catches the attention of this hostel is its name. I was referred this place by a hostel mate (a foreign national) in Mcleodganj and when he pronounced it as ‘JAGGADAS’, I was a bit bemused. It was only when I searched for it on the web did I understand that it is called JUGAADUS (JU as in July and DU as in Do). Jugaad loosely translates to ‘a hack’ or ‘an innovative solution to a problem with minimal resources’. Located in one of the many busy streets of Amritsar, the hostel is an absolute delight to stay. 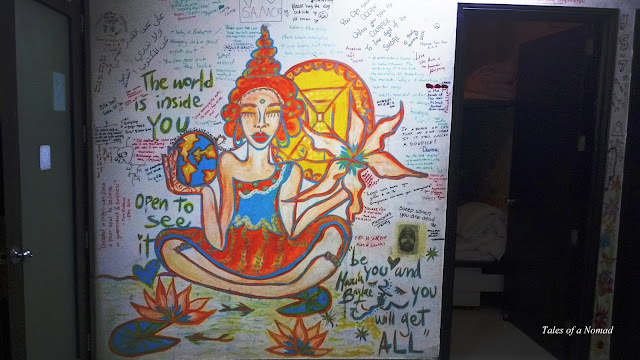 With friendly caretakers/ managers, a vibrant ambience and wall arts, Jugaadus eco hostel is probably one of the best backpacker hostels in the city of Amritsar. Its central location is a major advantage as many of the attractions are close and a walk away. The hostel also uses various methods to remain eco friendly. They also organize many local tours which include visits to Wagah border, Amritsar food walk, Heritage walk, Golden temple tour at night etc. Apart from the dormitories which are 6 and 8 bed mixed ones, they also have a private room. The rates for the dormitories start from INR 500. Ambience: The colourful walls with art and writings give the place a vibrant feel. 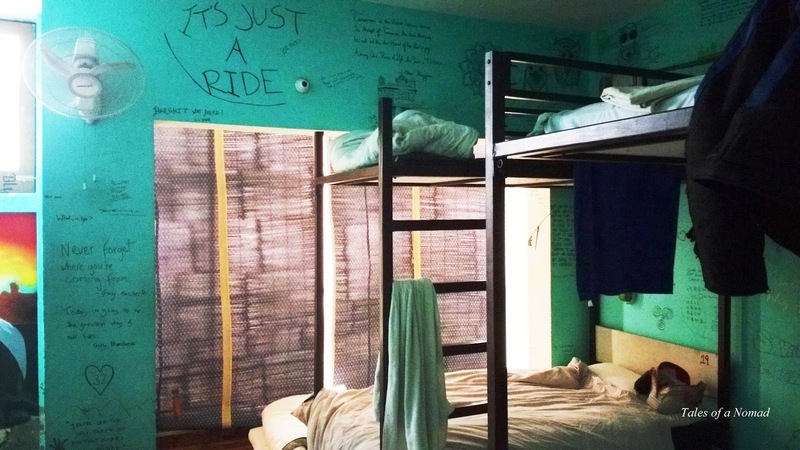 Tariff: If you book a dorm bed for 3 nights, the 4th night is free. How cool is that? Breakfast: The hostel provides a limitless spread of cornflakes, bananas and tea for the inmates and you can pay them whatever you feel appropriate when you check out, which too is optional. Staff: The staff is extremely friendly and always ready to help. You can learn a few Bangra steps from Jagroop who would be glad to help you shake a leg. Dormitories: The dormitories did seem a bit shabby which may be due to the constant check-ins and check outs. However, the beds were comfortable. Those are really cool pics and the price is good too especially for a budget traveler backpacking trip. The name of the Hostel is interesting :D along with fourth night free thing and unlimited supply of breakfast! Glad you liked it. It's a lovely place to stay in Amritsar.